Addyfield Farmhouse, Addyfield Properties in Cartmel-Fell, near Windermere sleeps 8 people. The views from these cottages have to be seen to be believed. Set in the Lake District National Park in an elevated position with stunning views over the Lyth Valley and open countryside to the hills beyond. Addyfield Properties make comfortable holiday home from which to walk direct from the door or for touring in the Lakes. Ground floor: Living room with beams. Dining room with beams. Kitchen. Shower room with toilet. First floor: 4 bedrooms: 3 double, one with additional single (for child), 1 twin. Bathroom with toilet. Night Storage Heating,elec panel heaters and electric by meter reading. Bed linen included. Cot. Electric cooker. Microwave. Washing machine. Freezer. Small grassed area. Patio and furniture. Barbeque. Ample parking. Holidays at Addyfield Farmhouse, Addyfield Properties run from Saturday to Saturday. For a better idea of where Addyfield Farmhouse is, you can see Addyfield Farmhouse on the map below. 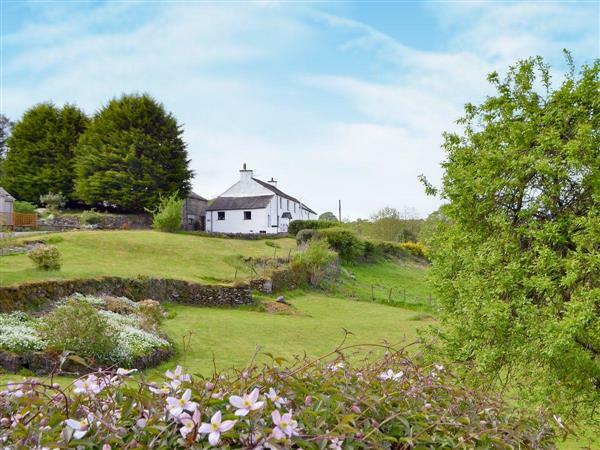 Addyfield Farmhouse is in Cumbria; should you be on the lookout for a special offer, you can find all the special offers in Cumbria. It's always worth checking to see what is on offer at the moment. Do you want to holiday near Addyfield Farmhouse (14512), you can see other cottages within 25 miles of Addyfield Farmhouse; have a look to find your perfect holiday location.